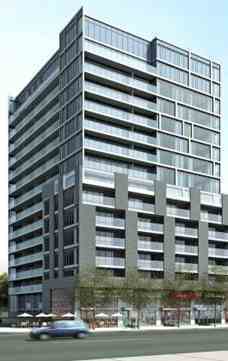 The Station is a new condo project by Brandy Lane Homes currently under construction at 545 Wilson Ave in Toronto. 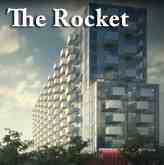 The project has a total of 388 units. Steam Room | Bar | Workout Facilities | Lounge | Party Room with Kitchen Facilities | 24-hour concierge | Movie Screen Room. Each suite is appointed with either a Loggia, Sun Terrace, Balcony or French Balcony, or a combination of these features. The Station located at 545 Wilson Ave in Toronto and has a star-studded array of fabulous amenities, spectacular living spaces and bright night vistas. The Station is Toronto's newest hit production and you'll play the starring role. Let the show begin. Unit Size: From 994 Sq. Ft. To 1,292 Sq. Ft. Brandy Lane Homes is a fully integrated new home development and construction company, involved in all stages of planning and building our communities. Since 1986, we’ve been the catalyst behind groundbreaking communities across the Greater Toronto Area – from Whitby, Ajax and Pickering, to Richmond Hill, Toronto, Mississauga and Oakville, and beyond to Collingwood and Waterloo. No two communities are the same and they include a diverse range of building types such as single-family homes, freehold townhomes, condominium townhouses, and mid- and highrise condominium developments. Despite their differences, they are all fundamentally alike – in each case we demonstrated the ability to transform under-utilized areas into exciting new urban and people-centric neighbourhoods.